To be closer to the water, you'd have to get your feet wet. Our central villa has a lovely garden view with the monument rocks and crashing surf just meters beyond. 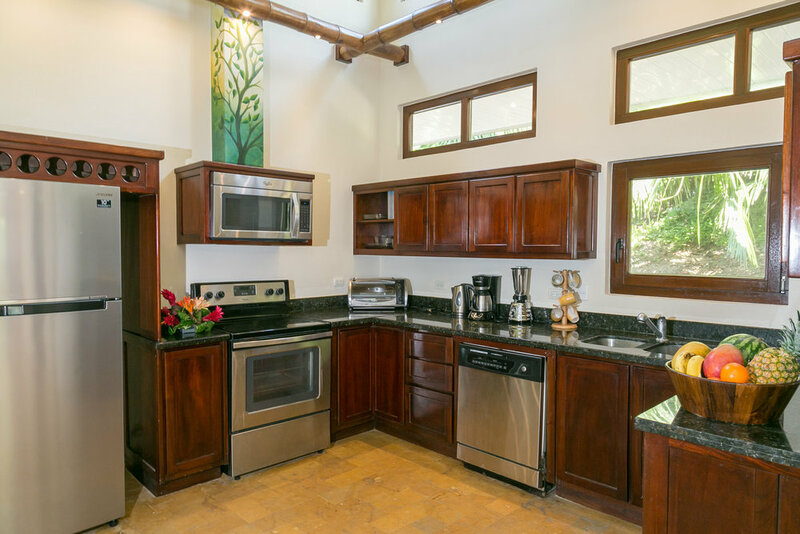 The fully equipped kitchen can be used to whip up delicious meals when you've run the gamut of Dominical restaurants, or you can schedule a "guest chef" from the area to prepare a traditional Costa Rican dinner at a very reasonably price. Dine in, dine out; you're on vacation. Do what you want! 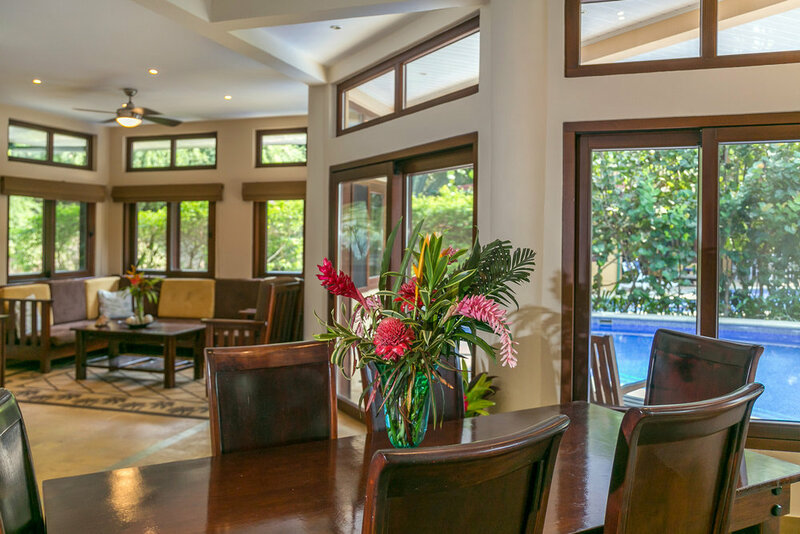 On the ground floor you enter into a room that spans almost the entire home, with a cozy living room on the left, a central dining room overlooking the pool, and an expansive kitchen to the right. A dramatic open staircase rises above the dining room, leading to the bedrooms on the second level. 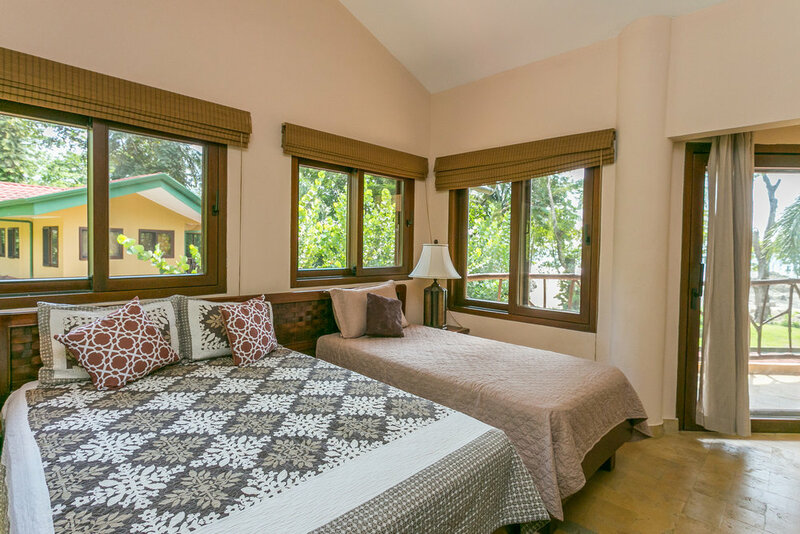 Forward to the right, the downstairs master bedroom, with ensuite bathroom, is easily accessed from the kitchen area. 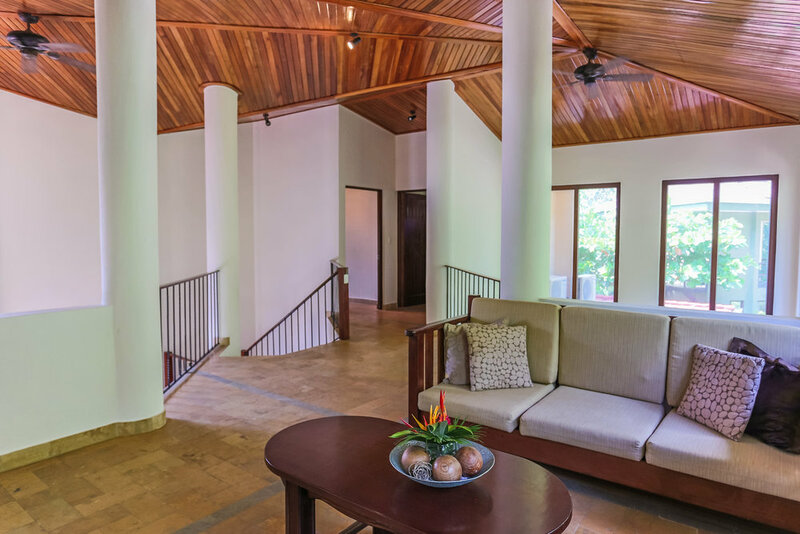 A nice treat for whoever stays in the downstairs bedroom is the instant access to the terrace and pool, for a midnight swim or early morning glance at email without disturbing the other guests. 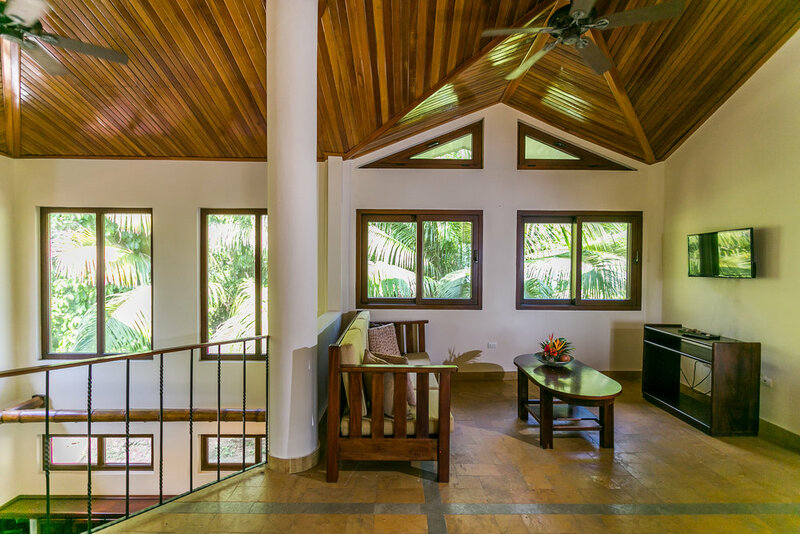 Upstairs there are mirror image bedrooms with dramatic views and private balconies for that first mug of coffee in the morning, or that last nightcap in the evening. One room is set up for a couple or children, with two separate beds, while the other has a queen sized mattress. Both have private bathrooms, and both are air conditioned. Which to choose? 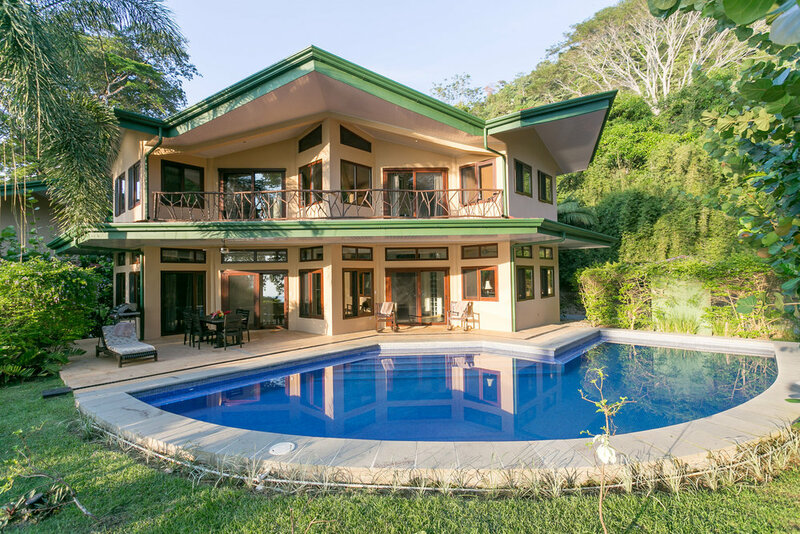 Presuming you have your choice of villas, there are literally no bad choices. Villa Central has more of a garden feel, with extensive landscaping, yet it's as close to the beach as its companions. No one who stays here wishes to be anyplace else.